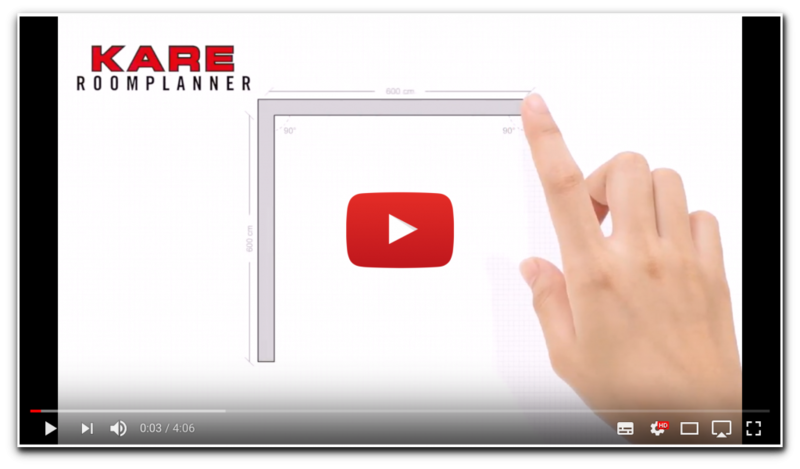 Our KARE room planner will turn you into an interior designer! Move things around, try out different articles of furniture and combinations. The room planner offers lots of functions that give you a realistic foretaste of your new dream apartment. Save your design either locally or in our cloud. This means that it will always be up to date, and you can access it again in your KARE Store and add to it if necessary. Here you‘ll find useful tips on what to look out for in your planning, as well as a guide on how to create your furnishing dream in 5 steps.